For marketing and advertising professionals, working in a fast-paced industry, it’s important to keep up-to-date with the latest trends and developments. Online learning and training can help you always stay ahead of the game! How to set up your Facebook advertising account. How to Advertise On Facebook. How to get your first ad up and running in 10 minutes or less. The basics of setting up that first ad so you can begin testing and creating ads; you will learn in this Facebook Advertising Guidelines course. Facebook Targeting. How to use the most powerful aspect of the Facebook advertising platform. Geographic targeting, demographic targeting, broad and precise interest targeting (psychographic targeting), social connection targeting, and advanced demographics. Bidding and Pricing Strategies. How to bid initially with a campaign launch. How to get Facebook to show your ads at the best possible cost to you. The difference between CPC and CPM bidding, and how in some cases you can pay twice as much for the same ad using CPM bidding and in some cases you can pay half the price as the same ad using CPM bidding. Ad copy and Images. (The most important part) How to create ads that people will click on, reduce ad fatigue, and get rewarded by Facebook for creating high performing ads that will cost you less money. Converting Clicks Into Customers. Take this course now and learn how to advertise on Facebook avoiding Common Mistakes. This course is an encyclopedic reference on marketing for the large and small business. The fifty video lectures include every marketing subject that will ever be needed, from opportunity identification, strategy development, execution and writing a marketing plan. Use the course as training for you and your employee or as a reference on marketing topics. The video lectures are accompanied by a complete set of lecture notes and a quiz following each key section. What am I going to get from this course? By the end of the course you and your employees will be able to develop and execute a professional marketing strategy. You will also be able to write a professional marketing plan to present to employees or investors. You will be able to develop a "marketing mindset", allowing you to recognize opporunities in the dynamic business and cultural environment. What is the target audience? small and large business owners. marketing students and professionals. What are the requirements? The course is designed to take the student from knowing nothing about marketing to a complete understand of the marketing discipline. No pre-requisite is needed. The course is very comprehensive in nature. You would not be likely to make the sale of a camera, for example, without the ability to show its features and discuss when you might use them. In this course, we will investigate crucial selling skills and knowledge, including product expertise, question answering and dealing with objections. The Course Designed by experts, the Digital Marketing Institute collaborates with industry experts to define a digital and social sales program informed by essential innovative techniques and best practices. Upon successful completion of a 3-hour Pearson VUE computer-based examination, you will be awarded a globally recognised professional certification in digital and social selling. Certified professionals are able to acquire more qualified sales prospects, reduce lead times, nurture leads more effectively and achieve a more balanced pipeline. You will realize the importance of building solid relationships online, ensuring client satisfaction and repeat business. Also, you will understand the importance of and how to lead the implementation of a digital sales strategy in your organisation. At a Glance Qualification Certification Provider Digital Marketing Institute Study Mode Online Delivery Mode Online Course Duration 30 Hours Location Online Intake Enrol any time. Start dates are on the 1st of every month. Price Contact us for current course price Career Outcomes Salespeople Consultants Business Development Executives Business Development Managers Key Topics Introduction to Digital &amp; Social Selling Digital Research Sales Enablement CRM Social Content Digital Sales Messaging Engagement Social Account Management Digital Sales Leadership Integration &amp; Strategy Pre-Requisites None Our Partner for this course Digital Marketing Institute The Digital Marketing Institute (DMI) is the global certification standard in digital education. To date, over 15,000 people in 80 countries have graduated with a DMI qualification. The Digital Marketing Institute collaborates with global digital experts to define and develop the skills and qualifications required of today’s digital professionals. Released 5/30/2017 Video is the rising star of content marketing. Videos can help you increase brand awareness and sales by allowing you to share compelling stories that resonate with your audience. In this short course, learn how video can play a critical role in your content marketing efforts. Join Luan Wise as she discusses who watches video content, what makes a great video, and how to measure your results. Luan also shares tips that can help you improve your content marketing with video. Released 9/18/2013 Learn how to stand out from the crowd, make your content compelling, and build a significant market presence for your company. In this course, Ian Lurie, CEO of the leading marketing agency Portent, presents his talk on Internet marketing. Learn how to embrace your brand's individuality and target the needs of your customers throughout the marketing cycle, from initial contact, through retention, community engagement, and hopefully sales. This 30-minute talk gives an insider's look at marketing strategies that have been proven to work in today's digital landscape. 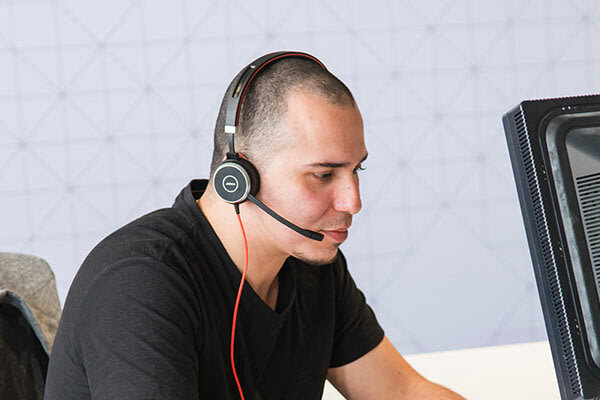 In this module, your avatar QC will introduce you the 8 step process of sales calls and explain how the Quality Conversation strategies and processes fit within the sales call flow. Important Information: Please be advised that this course is developed with Adobe Flash technology. If the course module is not opening, you will need to have your computer browser flash plugin enabled . For assistance in enabling flash plugin, please follow the instruction provided here.